A vintage classic with modern electronics in the Fishman Sonitone and Sonicore System. 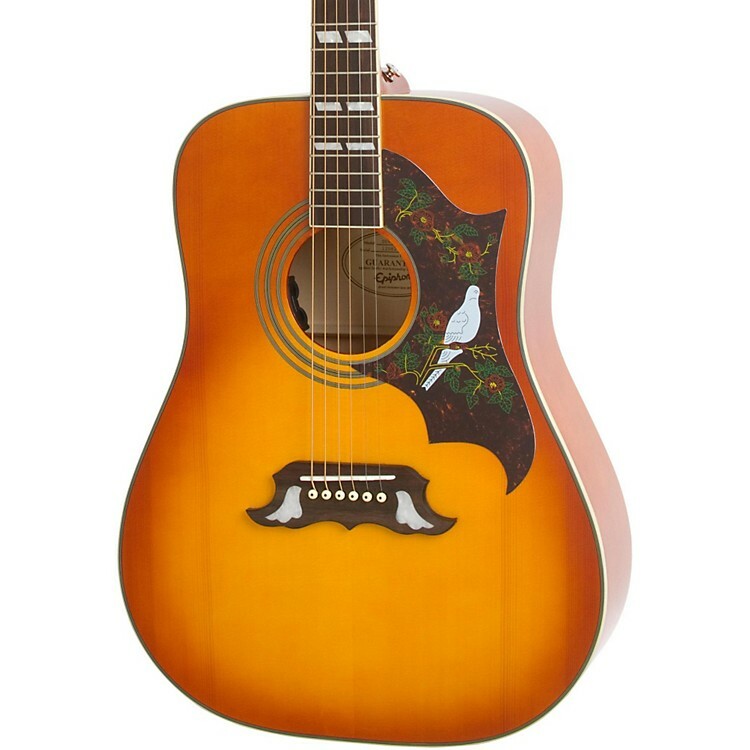 The classic Dove-style acoustic first introduced at the legendary Gibson and Epiphone factory in Kalamazoo in 1962 became one of the first acoustic guitars to become a recognized rock-and-roll icon. Now, both beginners and professionals can enjoy the classic sound of The Dove plugged in with the Fishman Sonitone soundhole preamp and Fishman Sonicore pickup system, designed and built with the integrity you expect from Epiphone. Unplugged, the Epiphone Dove PRO can easily drive an acoustic band. But plugged in, The Dove PRO can hold its own with drums and electric guitars. Case sold separately. This is an amazing guitar with a price to match. Order today.